I have no objection to imagining Dom DeLuise hock a fat globule of spit on Einstein’s thick white mane or deliver a devastating karate kick to the groin of Pope Benedict XVI. Even Michael Jackson defecating on a salmon burger wouldn’t be too extreme an image if visualizing it did something ongoing and profound for my memory. Joshua Foer, the 2006 champion U.S. memorizer walked away with first prize by linking such images of bizarre acts to playing cards and then committing those acts to memory and running through the images in his mind, faster faster faster until the stopwatch registered less and less time needed to repeat the cards in random order. In a recent New York Times Magazine feature, he described the study sessions as grueling but finally his pathway to success. Foer’s success and mine are light years apart. My problem is I have no interest in memorizing a deck of playing cards in any order or numbers from here to infinity. Games leave me cold and contests can be won by others as far as I’m concerned. It is life I want at my fingertips—my life, ready and waiting to be remembered, experienced in every season. By remembered I mean re-experienced. Life enhanced by the ability to reconnect to earlier experience, which, despite the “live in the moment adage,” is the only sort of life worth living. I want to remember the perfect word. And more than that, the meaning running through words like a train running along an unbroken track, propelled by its own power, accompanied by its own rhythm of hisses and clangs. I want to retain the shifting seam between river’s edge and ancient rock, recognize the canyon wren’s pure note, and hold until death the curve of your breast, knowing it is yours. I want those life-changing poems by Vallejo and Rich, not a rereading of their lines as they swept me into their arms the first time around, but how I receive them the hundredth time, layered with the electrifying memory of each of the first ninety-nine. Or my name. Your name. Their names, and what the owners of all these names mean to one another. Los vasos comunicantes, the connective tissue: a necklace where every hanging gem basks in its unique light against a canvass illuminated with grace and brilliance. This is definitely not about a particular number, word, or group of symbols waiting in repetitive boredom to take its place in rote recitation. It is about delicate pieces of life and what happened seconds before each one unfolded, or minutes after, parallel or in chorus, retreating to take their places among the great body of voices, then each stepping forward to inhabit their own spectacular moment. Fabric is everything, context part of what gives all memory depth. Here is a single example. When I begin to write about sitting at that small round table at a Lower East Side café, 1959, I know I must retrieve the feel of the tabletop against my sweaty palms, my posture in the ironwork chair, the slant of my body toward or away from the person sitting across that table from me. I need to conjure the longing in my eyes and the set of my mouth, who faced me and why, the tiny catch of breath in my throat, the temperature of outside air, what drink stood half-consumed in the small cup I fingered with nervous hands and how much liquid ran down its sides to pool in the saucer beneath. Did I return that spill to the cup? Drink it from the saucer? Or was I too nervous to indulge myself in this way? And on my way to the café, what did I feel as I approached, what visions battled with my creepy little superstitions? And when an hour later I got up to leave, what forced rearrangement of emotions made the contents of shop windows smaller, more distant, less accessible? Could I still remember how it had felt to imagine owning that expensive leather bag or the rainbow chiffon of a party dress I’d passed on my daily rounds? The foregoing is my memory of the first time an editor extended an invitation to coffee, only to tell me the novel I’d sent him was bad, I might as well go back to my hometown, marry, have children and give up my dream of becoming a writer. I can pull up our conversation and toss it lifeless across the page. Or I can evoke the tremors, shortness of breath, chemical body changes that complete the story. It all depends on how organic my memory remains and how hard I work to bring it up. Just as there is no single truth, participants remember events differently. Since my early twenties, I have thought of that little round café table a thousand times. The editor may have remembered it once or twice, if at all. Doubtless he had rejected a hundred books before dispensing with mine, and would do away with thousands more throughout his long career. Most rejections would be carried out by mail: the pre-printed form letter with the would-be author’s name inserted in the proper place. At best a brief handwritten note at the end, suggesting another destination or meant to encourage those with talent to keep trying. For me, it was my first novel and first major rebuff. He called and asked me to meet him for coffee because we were from the same southwestern city, he knew my parents. We’d met a few times. I had mistaken simple courtesy for a glittering promise of acceptance. A good deal older than I, that editor may be long gone, dealing with another sort of memory or none at all. Until that moment comes for me, I revisit this scene that meant nothing to my writing career but insists on periodically shouldering its way to the surface, each time dragging with it an additional layer of detail. Now I ask my memory to tell me which details belong to the original tableaux and which I have invented along the way. My memory laughs, a broad coyote grin. Like disparate truths, each person’s memory recreates an event in its own way, shaped by a lifetime of prisms. Lenses are age-, race-, class-, and gender-specific, as well as influenced by other variables. Optics are cut and polished from the myriad crystals of time, light, weather, season, temperature, loyalty, belief system, cultural history and emotional connection. How important was the event in the grand scheme of the person’s life? How trivial? And what other events unfolded or never happened because of the one now taking center stage? I’ve kept a journal since 1969. Tens of thousands of single-space pages. I started the practice when I was hit with political repression in Mexico and was forced into hiding until I could find a way out of the country. I didn’t know how long the difficult situation would last, or what its outcome would be. I’m sure I started writing because I wanted to leave some proof of my existence. Just in case. The habit extended itself, through that underground period to years lived in Cuba, Nicaragua, and then back here in the United States. It has become my constant. I may write every day or a couple of times a week. I may stop writing for a while, only to experience a rekindling of the need some months later. The nature of the journal has grown and changed, but not its practice. At first I wrote about what happened, what I did, and what others did (as I understood what it was that they did.) My quasi-personal diary soon morphed into something I shared with small groups of family and friends. When I found myself in the midst of history-making moments, I shared what I wrote further afield, coming to see myself as a bridge between what was going on in parts of the world about which little news reached the United States and the people there who I believed wanted, indeed needed, that information. Years of over-used typewriter ribbons and grubby sheets of carbon paper. Then years of electric typewriters, their even pressure mining the page with a steady determination. With the advent of personal computers, true mass production was possible. I could even include images. The Internet and Cut and Paste do wonders for memory, in my experience, at least. While certain technological advances seem to dull or subsume memory, others aid its preservation. Back in my early days of journaling, when I wrote about what was happening, I wrote from a particular point of view. I analyzed events according to the convictions I held at the time. Feelings were little explored, and always took a back seat to “facts.” Back then, I believed that facts were self-evident, easy to decipher and just as easy to judge. I kept writing, through my return to the United States, with all the complexities of that transition. For the first time I was living without any of my children, who had gone on to build their own lives, most of them far from me. I came out as a lesbian and remembered—after a lifetime of disassociation and denial—that I had been sexually abused by my maternal grandfather. And I had to wade through those years when the government was attempting to deport me, deny my desire to live close to my parents as they aged, and disrupt my choice to reconnect with the landscape and language of my creative life. Around this time I began writing To Change the World: My Years in Cuba from memory. The book is a recounting of my eleven years participating in the Cuban revolution. Even now, as I write “from memory,” that coyote grin hovers at the edges of my lips. I was so sure I accurately remembered those dramatic times! After a year, writing every day, I had what I thought was a pretty convincing draft. Then I decided to put my manuscript aside and take a few months to reread my journal from that era, pages I hadn’t revisited for decades. Each day brought a startling revelation. An incident central to my story hadn’t unfolded how I remembered it but differently in a number of important ways. I’d told another story with the presence of only a few of those I’d thought had been involved. Or placed people in locations or times they’d never inhabited. Years also expanded and contracted. This event actually happened before that other one, or vice versa. Having those thousands of journal pages, each in neat chronological order, changed my book considerably. It made it stronger. Still, in retrospect I realize I’d only been able to close some of the gaps in my own fading memory. Had I had access to the memories of others with whom I lived and worked throughout those years, my book would have been a great deal richer. Even, in a few details, more accurate. But I’m not concerned with that type of small factual error, not in that book or in my memory overall. What concerns and compels me are the places where memory for fact and memory for feeling overlap, interact, and produce an individual’s truest recall. Even the best intentioned, presumably most honest rendering often dissolves in a swamp of impossibility. And how we perceive ourselves and wish to be perceived by others often makes a courageous exploration of feeling seem like self-betrayal. These may be dual battlefronts in an unwinnable war. Toni Morrison created the hyphenated word re-member to describe those reconnections we need to make between the supposedly separate “members” of ourselves: mind and body, thought and feeling, past present and future, a thousand memories shattered by shame and betrayal in our patriarchal world. I continue to ask my questions. Memory keeps on displaying its coyote grin. But, as I age, rather than let go of memory I sense we are dancing closer, dissolving into a fiery embrace. Margaret Randall's most recent memoir is To Change the World: My Years in Cuba (Rutgers University Press, 2009). Her books of poems include My Town (Wings Press, 2010), First Laugh (University of Nebraska Press, 2011), As If the Empty Chair / Como Si La Silla Vacia (Wings Press, 2011), and Something’s Wrong With the Cornfields (Skylight Press, 2011). 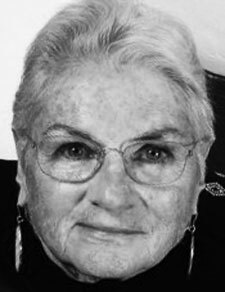 In September 2011, The University of New Mexico Press will bring out a book of her poems, Ruins, which also contains 33 of her black and white photos. View More: Next piece "Our Esther", Home, Archive.